KANSAS CITY, Mo. 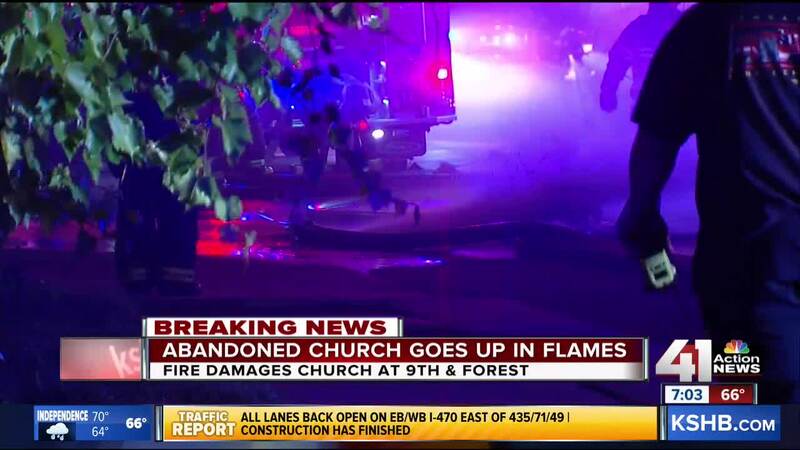 — Emergency crews were still on the scene of a 2-alarm fire at an abandoned church Monday morning. Firefighters received the call around 10:20 Sunday night at 9th and Forest. Records indicate 26 emergency vehicles responded to the fire. Flames could be seen from 71 Highway near Paseo, and a second alarm was called within minutes. One officer on the scene suggested the church has been abandoned and boarded up for years. Tamara Hargraves, who lives nearby, said she doesn’t know how the fire started but said it raises safety concerns. “It's pretty scary though, you know for something like to just happen in your own neighborhood, you feel like you're going to be safe, or your daughter or your children are going to be safe, and constantly something is happening so, it's a bad feeling," Hargraves said.